To explain why this page is called Canon in Sherlock fans, let’s see the definition of canon. In music, a canon is a contrapuntal compositional technique that employs a melody with one or more imitations of the melody played after a given duration. A canon of two voices may be called a canon in two, similarly a canon of x voices would be called a canon in x. Following this description the term Canon in Sherlock fans refers to the collected articles of people who like the most famous detective of the world. We do hope that from the many articles will come out a beautiful musical composition of lots of voices. Our first two entries are from Mr. Kumar Bhatia, who is a Sherlockian for decades. He is the member of the Sherlock Holmes Society of London, the Sherlock Holmes Society of India and The John H. Watson Society, Intellectual Parasites Of Diogenes - IPOD Club . This articles appeared on the blog of SHSI. Our third entry is from Enrique Macia, a psychologist from Colombia who is a fan of the great detective since his childhood. 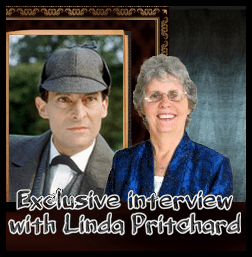 His favourite Holmes actors are Basil Rathbone, Jeremy Brett and Benedict Cumberbatch. Enrique Macia writing is about deduction. The fourth entry is from Steve James, from the United Kingdom, who sent us a mysterious and interesting tour guide for a Halloween walk in London. 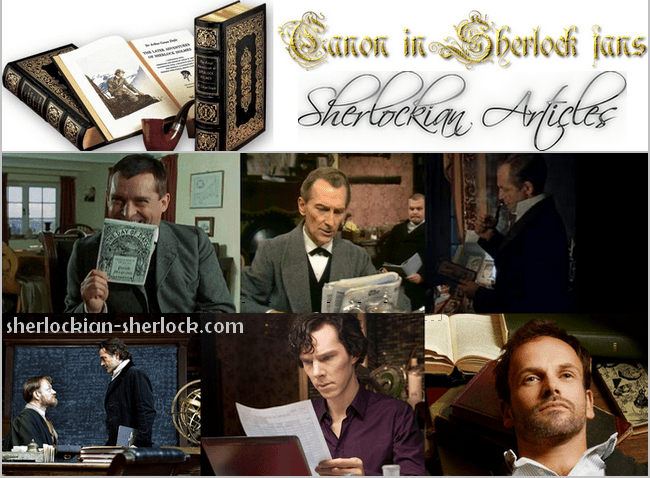 The fifth entry is from stefan69, who is a Hungarian fan of Sherlock Holmes. He excellently lists the main characters and the most significant supporting characters of the Canon - Revati only added a few things to his great article. The sixth entry is from Sloane Jensen, who sent us her touching poem about Sherlock. This is the text of speech by Mr. Kumar Bhatia, given at the first gathering of members of The Sherlock Holmes Society of India, in August 2013 in Bombay. Mr. Bhatia kindly gave permission to publish it on our site. We have gathered here because there is a common thread that binds us. We all love Sherlock Holmes. And I am glad to see so many young people here too. No matter how you came about to do so, you got hooked after reading one or all the original stories, or because you enjoyed a Holmes movie or TV show, whether you were impressed by Jeremy Brett's brilliant portrayal of the Master or whether you adore Benedict Cumberbatch in the recent BBC series, as long as it made you a fan of Sherlock Holmes. That’s all that matters. But whatever magnet attracted you, and now that you are a confirmed Sherlockian, start reading the Canon again. The adventures so brilliantly crafted, the characters so finely chiseled by Sir Arthur Conan Doyle, that the saga of Sherlock Homes and Dr. Watson is popular even today though the first story, A Study in Scarlet, was published in 1887 more than a 125 years ago. To some like me Sherlockism is almost a religion, and it is not for nothing that the tales are collectively and reverently called the Canon. A belief is not merely an idea that the mind possesses, it is an idea that possesses the mind. In the words of a Great Sherlockian, Vincent Starret: "Only those things that the heart believes, are true." So believe in Sherlock Holmes and always, always read and re-read the Canon. I have said this before and I say it again: the canon not just a collection of mystery stories about a detective, narrated by his biographer friend. It is treatise on human psyche and behaviour. The canon addresses and personifies the baser human emotions of greed, jealousy, vindictiveness, criminality and sheer evil. But there is a brighter side too. The canon also depicts Compassion, Friendship, Justice - sometimes poetic, Fair- play and the Triumph of Good over Evil. Read it over and over again, dear friends, and you will find therein the importance of rational thinking devoid of emotional influences, a collection of facts compiled - scientifically where need be, effective analysis of data and the drawing of accurate conclusions. On the scientific side, the Canon expounds the application of Forensic Science to the detection of crime, at a time when police methods were severely limited and forensics barely used. The study of fingerprints, footprints and cycle tyre marks, the various types of tobacco ashes, chemical analysis, basic ballistics, the study of the human anatomy, hands, ears, and how personal belongings of individuals depict the personality of the owner. These and similar techniques mentioned in the canon, more than 125 years ago, are indeed forerunners of what is now called Crime Scene Investigation. On the subject of mental skills, the canon is full of instances of logical thinking and its applicaton to decision making. Among many fine books on the subject, is a recent one written by Maria Konnikova, entitled “How to think like Sherlock Holmes.” It is a text book on effective thinking as inspired by in the Canon. "Men may come and men may go but I go on forever." Was Tennyson talking about Holmes? I think so! The United Nations has declared 30th July of every year as “International Friendship Day“, but in some countries and communities it is celebrated on the first Sunday of August. My humble tribute to the greatest of all friendships, the one between Sherlock Holmes and Dr. Watson. As the Canon relates, these two Victorian gentlemen, utterly different in personality and personal habits, are thrown together by coincidence and circumstance, and become room-mates at what is now one of the most famous addresses in the world: 221 B Baker Street. The saga of their eternal friendship resonates, even today, in the hundreds of books, articles, essays, debates and analysis. And in the Canon itself, needless to say, which is not just a collection of stories about a detective and his biographer friend, but tales of mystery, adventure, brilliant sleuthing, bravado and, above all, friendship. An incident from “The Adventure of the Three Garridebs “, a murderous attack on Watson, is a fine example of the chemistry between the two friends. When the King of Bohemia wishes to state his case privately to Holmes and indicates that he would not prefer to have Watson present, Holmes says: "It is both, or none, you may say before this gentleman anything which you may say to me. " The friendship between the two men prevails throughout the Canon, evident from the many remarkable statements that they made about, or to, each other, some complimentary, some critical and some even sharper! But the underlying camaraderie prevails and comes through ever so sincerely. It is indeed a difficult task to choose, but I will try. I quote from the Canon, which says it best. “ but it is that Watson has some remarkable characteristics of his own... which is his modesty"
Sherlock Holmes - His Last Bow.